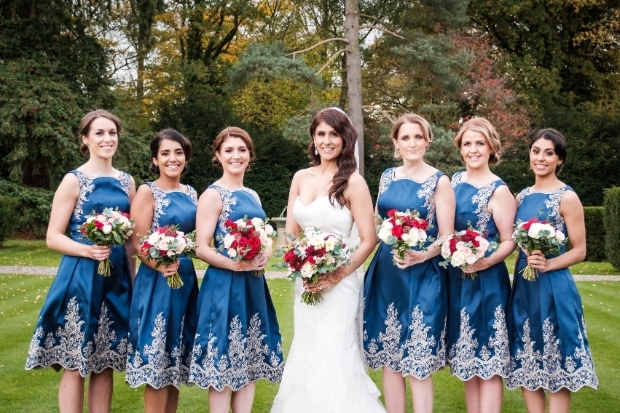 Christina and Owen's nuptials had a deep red, navy and gold colour scheme. 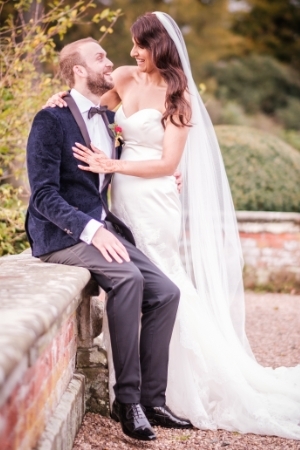 Christina Inderjit Kaur Shergill married Owen Gareth Johnson, both 31, at Iscoyd Park, Shropshire, on 28th October, 2017. 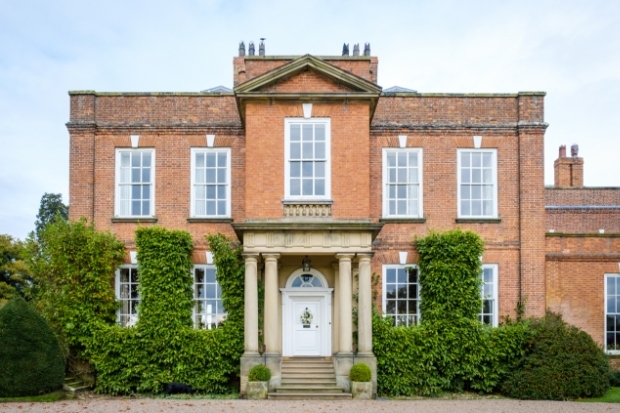 I fell in love with the venue within a few clicks on the website. My dad and I visited, and I knew it was where I pictured myself becoming Owen's wife. 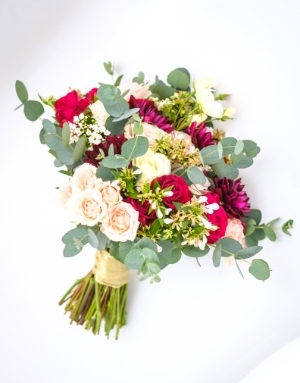 My bouquet comprised of deep red roses, cream and pink flowers and greenery. 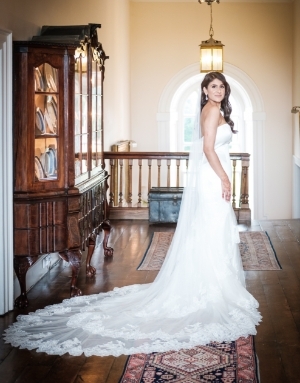 I wanted a messy style that was slightly bigger than normal as I knew this would stand out and have the right balance with my dress. I'd researched lots of designers but Enzoani stood out. I went with my dad to the boutique and picked a few choices including Kassandra. Before I even had it on properly I knew it was the one. The satin bodice showcased my curves, the Chantilly lace on the mermaid tail was detailed perfectly while the tulle train had the wow factor. I kept my accessories simple with diamond earrings and had an Indian henna tattoo on my hands as is tradition in my culture. We went shopping together and came across a navy velvet evening jacket with paisley embroidery. We both said how gorgeous it looked and as soon as Owen tried it on – we knew this was the one for him. He finished the look with straight evening trousers, a bow tie and patent shoes. I wanted my best girls to be in navy but couldn't find the right shade. I then came across a dress with a gold patterned design on them, even though they were English dresses they could also have easily been Indian gowns too. Once we tied the knot we were both on a high and couldn't stop smiling. 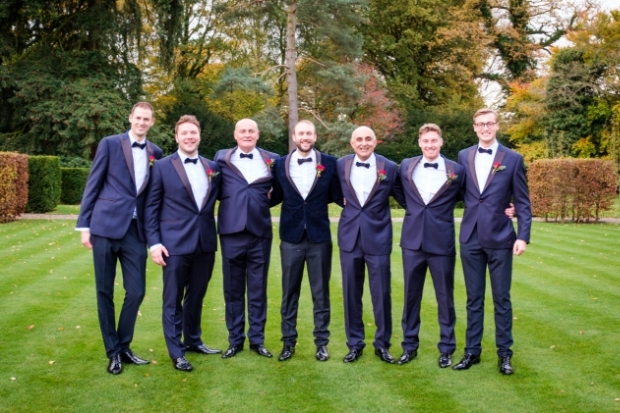 We loved every minute and being around friends and family made it even more special. 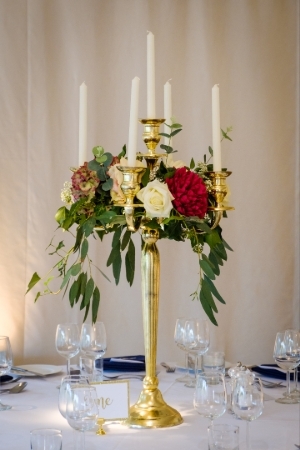 We had gold candelabra with stunning rich red, green, cream and pink flowers placed on top, which I felt would give them a lovely autumnal pop of colour. 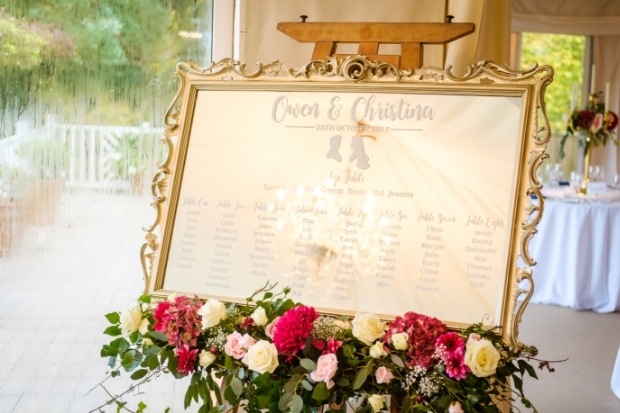 Our table plan was laid out on an elegant mirror and incorporated Sleeping Beauty and the prince's silhouette profiles as I love Disney. 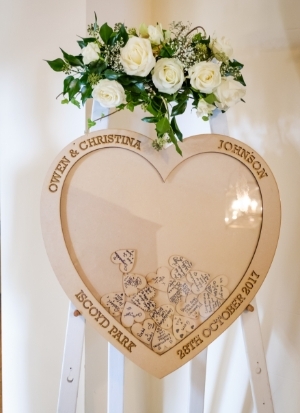 We also had pieces of wood shaped into love hearts where people could write a message and place in our frame. We wanted a simple cake that still had the wow factor. It was three different flavours, Victoria sponge, lemon and raspberry with white chocolate chips. 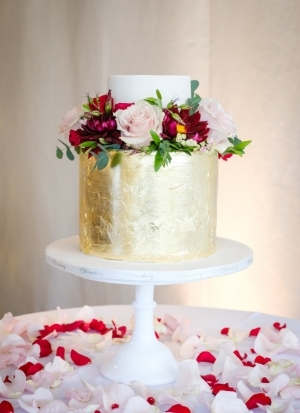 The bottom layer was covered in gold leaf and adorned with blooms that matched my bouquet. Our first dance was to Al Green's Let's Stay Together. 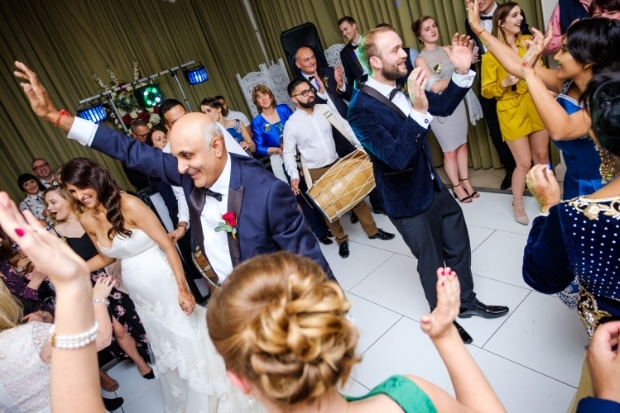 We cut the song off early as we surprised our guests with Indian drums and music and all our guests got on the dancefloor.